It was subsequently recognised that a whole spectrum of electromagnetic radiation exists, from the short wavelength gamma-rays and X-rays at one extreme, through the more familiar regions of ultraviolet radiation, visible light and infrared radiation, to the long wavelength phenomena of microwaves and radio waves at the other. The wavelength and frequency of each type of electromagnetic radiation are related by the simple equation: wavelength x frequency = speed of light, about 300,000 km/s. 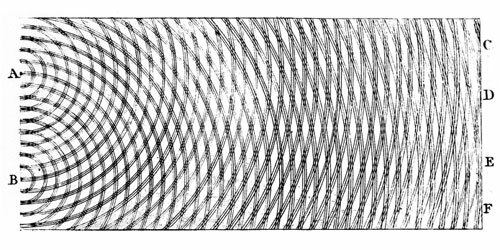 This recognition of light as a wave phenomenon had in fact overturned two centuries of belief, dating back to work by Isaac Newton, that light was composed of a stream of particles. It was observed that when light fell on a metal surface, electrons could be emitted by the metal. Changing the intensity of the light caused the number of electrons emitted to change, but the electrons’ range of energies remained the same. Decreasing the wavelength of the light, however, caused the electrons to be emitted with a higher maximum energy. Conversely, increasing the wavelength of the light beyond a particular cut-off value (specific to each metal), caused the emission of electrons to cease. The explanation was that light interacts with matter as if it is composed of a stream of particles, now called photons. Each photon carries a specific amount of energy, which is directly related to the frequency used to characterise the propagation of light by the relation: energy of photon = Planck’s constant x frequency. So light, and all other electromagnetic radiation, is now recognised as something rather strange: it propagates as if it is a wave, but interacts with matter as if it is a stream of particles. Have fun learning with our platform Engage!K12 and the light detection lesson we have for you! Create a Free account and enjoy more lessons. 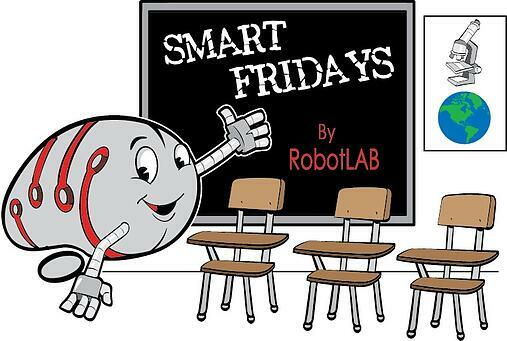 This is a new educational channel called Smart Friday! Every Friday we will share with you an informational piece about a topic we care about. You can share it in your classroom. Have fun learning!